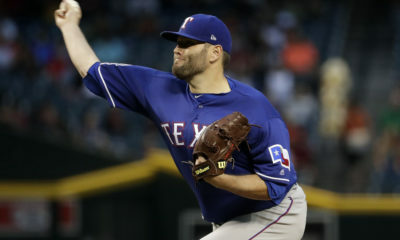 The Texas Rangers (18-30) lost three of four against the Chicago White Sox (13-30) at Guaranteed Rate Field in Chicago. Designated hitter Shin Soo-Choo started Texas’ offense in the series opener with a RBI single in the third inning. In the eighth, right fielder Nomar Mazara hit a RBI triple, his first of the season. Texas lost 4-2. Starter Doug Fister pitched seven scoreless innings with four strikeouts before reliever Jose Leclerc earned his second blown save while allowing four unearned runs in the eighth. 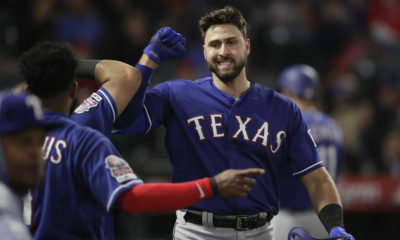 Shortstop Jurickson Profar started game two with a two-run single before left fielder Joey Gallo hit a RBI single in the first. In the second, third baseman Isiah Kiner-Falefa drove in a run with a sacrificie fly. 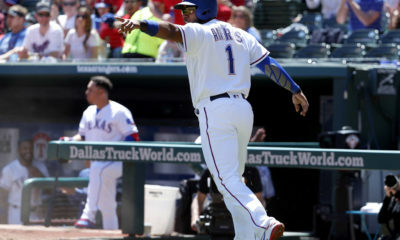 In the third, a run scored as second baseman Rougned Odor reached on a fielder’s choice before Choo hit a grand slam, his sixth home run of the year. In the ninth, Profar hit a RBI single before Gallo hit a two-run double, his sixth. Texas won 12-5. Lefty Matt Moore allowed five runs, four earned, in 3 2/3 innings of work, walked three and struck out five. Then, three relievers combined for 5 1/3 scoreless innings, which included a walk and four strikeouts. Profar started game three with a RBI double, his 12th, before Odor hit a RBI double, his fourth, in the second. In the next inning, Profar used a sacrifice fly to drive in a run. Texas lost 5-3. Rookie Ariel Jurado pitched 4 2/3 innings, allowed four runs, walked two and struck out two in his MLB debut. Then, three relievers combined for 3 1/3 innings, allowed one run, walked two and struck out two. The Rangers were limited to two hits in the series finale, which came from Choo and catcher Carlos Perez. Texas lost 3-0. 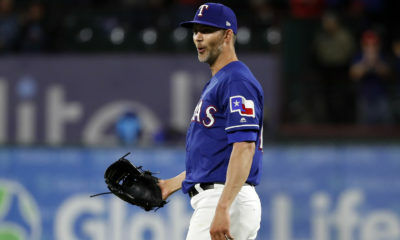 Left Mike Minor pitched five innings of three-run ball, which included nine strikeouts. Then, the bullpen combined for three scoreless innings, which included four strikeouts. The Rangers will start a seven-game homestand with a three-game series against the New York Yankees (30-13). Monday- 107.9 Tulsa at 6:30 p.m.
Tuesday- 107.9 Tulsa at 6:30 p.m.
Wednesday- 107.9 Tulsa at 5:30 p.m.